Bad ideas never die at the Pentagon — nor do they fade away. No — like no-win wars (Vietnam followed by Afghanistan, and so on), they keep coming back to haunt us. According to today’s New York Times, the Pentagon is reviving the idea of special medals and awards for drone pilots and cyber-warfare specialists. This was an idea shot down by former SecDef Chuck Hagel, but bad ideas live a phoenix-like existence at the Pentagon. Back in July 2012, I wrote the following article for Huffington Post about “the drone medal.” It still stands today. There are plenty of military decorations and awards, already on the books, that “a grateful nation” can give to its drone operators and cyberwar experts. Creating new decorations to celebrate the “chair force” — well, what more can I say? Traditionally, U.S. military medals by their very names have stressed honor or service, such as our highest award, the Medal of Honor, or the Distinguished Service Cross. Other medals are specifically connected to aerial prowess and feats, such as the Distinguished Flying Cross or the Air Medal. Such medals are well named, linked as they are to skills demonstrated by air crews operating in harm’s way. What are we to make of a medal named for prowess in “warfare,” especially when drone operators are completely isolated from the battlefield? For that matter, how can war by remote control be recognized and celebrated as a “distinguished” form of “warfare”? Wouldn’t it be more honest (and perhaps even more honorable) to name this new decoration the “Drone Medal,” with all that name implies? In raising these semantic points, I wish to take nothing away from drone pilots. They train hard, they work long hours, and they’re dedicated professionals. What they don’t need is a new medal created especially for them, and I’m guessing most of them would agree. The U.S. military already has a bewildering array of awards and decorations on the books. 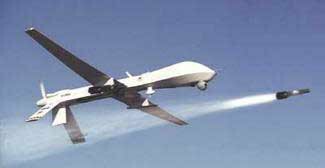 If a drone pilot does something especially noteworthy or meritorious, there already exist commendation, meritorious service, and distinguished service medals that can be awarded to recognize his or her contribution. Honestly, the last thing our bloated military establishment needs is more medals. But if the Pentagon insists on creating a “Distinguished Warfare Medal,” we really should insist on calling the Department of Defense by its old (and, given recent events, much more accurate) name: the Department of War.